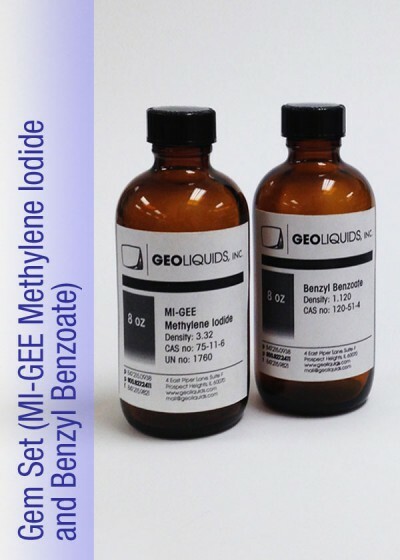 Here are answers to some common questions about GeoLiquids and our products. Q: How can I ask a specific product question? 847-215-0938 (International) or fill out our easy-to-use Inquiry form. 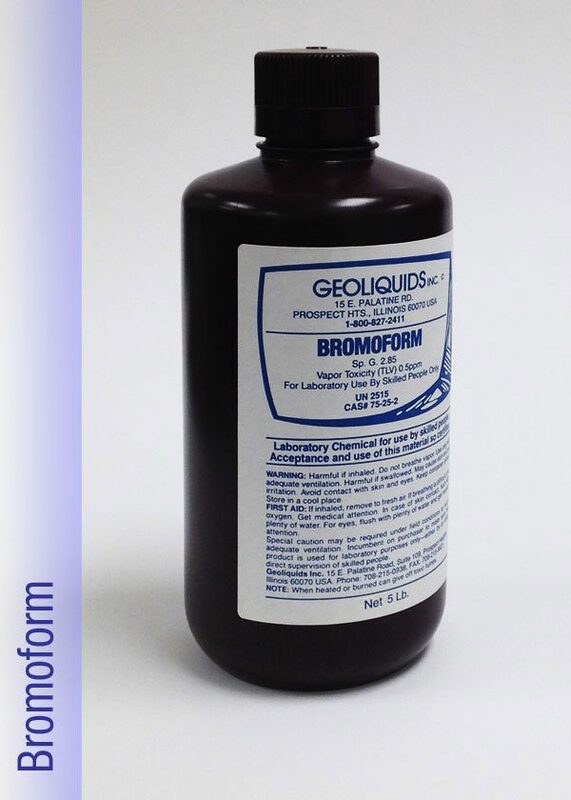 View these handy data sheets on the use of heavy liquids in a lab setting. 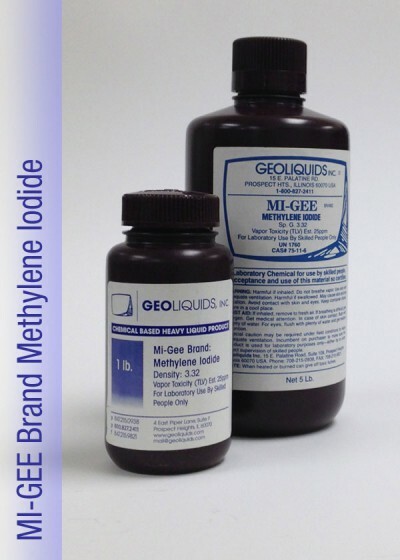 For chemical based solutions, click here. For water based solutions, click here. Q. If I have a pound of product and mix with distilled water what volume of liquid will I have to work with? A. 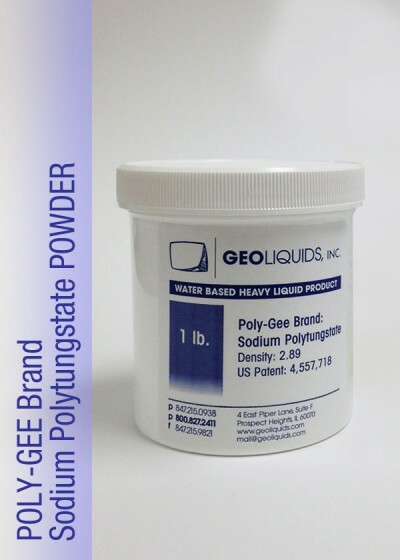 With one pound of Sodium Polytungstate Powder you would have 1 – 1.5 pounds of volume. Q. What are the best ways to assess when to recycle water-based solutions, and how to recycle them? Q. In working with SP Liquid I used the filters suggested in the SDS sheets but the dried product now looks slightly darker. Is this discoloration normal? 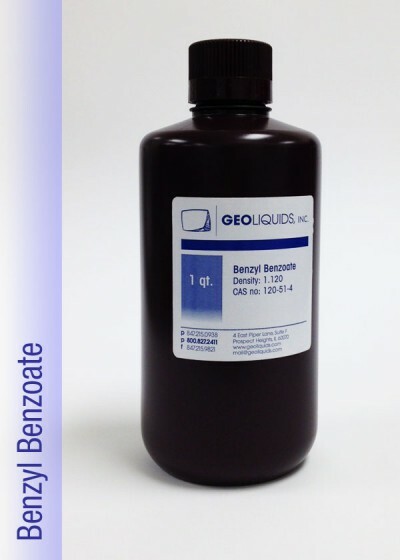 hydrogen peroxide purchased from your local drugstore may help return the product to its original color. Q. Does the Sodium Polytungstate information pertain to SPT-0? A. All data from the SP products are also valid for SPT-0. 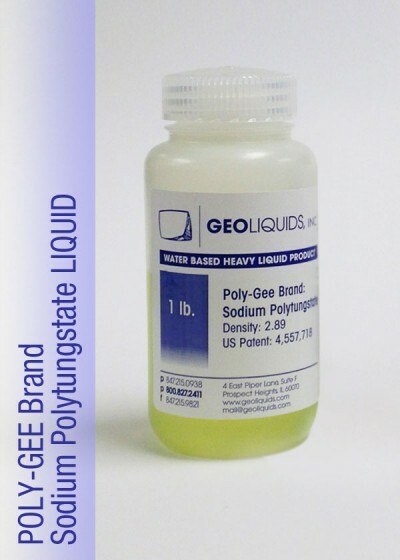 Q. I bought Sodium Polytungstate Liquid awhile ago and the density is a bit lighter that it should be. How can I get the product to return to its proper density? A. 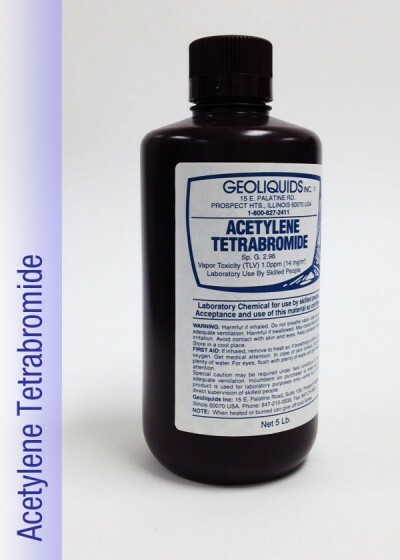 There can be some fluctuation when a water based product sits on a shelf, even in a controlled atmosphere. 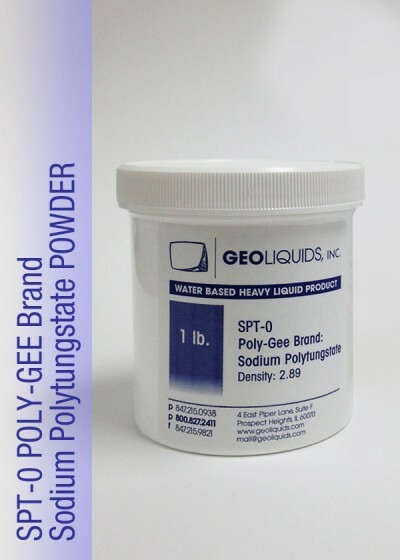 purchase the Sodium Polytungstate Powder and mix your own. Q. Is there any harm in putting this product in an ultrasonic bath? same safety measures as you normally would. Q. What is the safest way to handle this product while working with it? appropriate mask, gloves, and try to limit exposure to skin and breathing. Q. How do I decide which product is right for me, Chemical Based or Water Based? one pound to test and see if you get the desired results for your project. Q. What is the proper way to recycle chemical based products? mixture is then stored in containers. Recycle the product by adding water and separate the dissolved liquids. Q: Is it common for the product to darken in color? Is there a way to make it colorless again? drugstore may help return the product to its original color.